The 26-year-old's last ODI was against England in March 2014, and he was dropped from the squad later that year. The left-hander attempted to switch to Major League Baseball during a break from cricket, but returned in 2016. 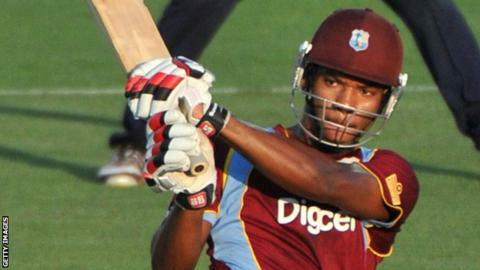 All-rounder Marlon Samuels, recently cleared to bowl following a ban for an illegal action, is not included. West Indies squad: Jason Holder (capt), Devendra Bishoo, Carlos Brathwaite, Kraigg Brathwaite, Jonathan Carter, Miguel Cummins, Shane Dowrich, Shannon Gabriel, Shai Hope, Alzarri Joseph, Evin Lewis, Jason Mohammed, Ashley Nurse, Kieran Powell, Rovman Powell.